The opportunity to offer your clients and customers a wide choice of luxurious, exclusive Cruelty Free, Natural & Organic products. Free from harsh detergents, sulphates, synthetic ingredients, chemicals, parabens, animal ingredients or artificial fragrance. Flexibility to order across ranges to suit your retail and treatment requirements. 24/7 convenient online ordering with your personal trade account discount code. 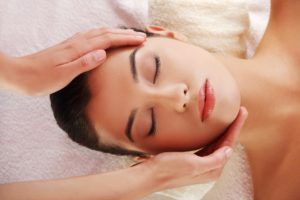 free training for Qualified Therapists and Beauty Professionals of the exclusive Zuzka Signature Organic Facials and Body Treatments with their opening order, including training videos and product manuals. Our support team are available 9am till 5pm Monday to Friday to take your calls and answer emails offering advice every step of the way to help your business grow succesfully. START ENJOYING THE BENEFITS, APPLY TODAY!